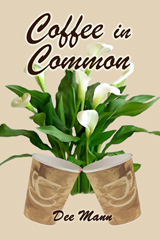 Welcome to Coffee in Common. The novel is 340 pages. Thanks for stopping by. I hope you enjoy reading this contemporary romance as much as I enjoyed writing it. © 2010 Mason Marshall Media. All Rights Reserved.